Preservation Society of Newport County! visit the Preservation Society’s page, or browse their weddings look-book. 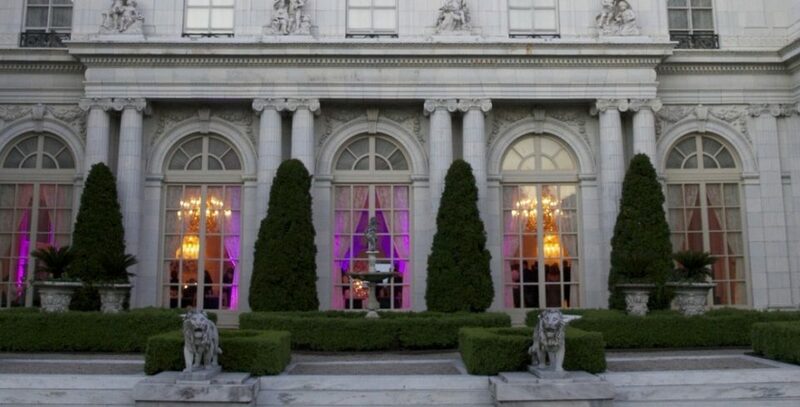 With Newport’s largest private ballroom and a heart-shaped staircase, Rosecliff, built in 1902, was the setting for many of the most fabulous social events of the Gilded Age, including a fairy-tale dinner and a party, featuring magician Harry Houdini. 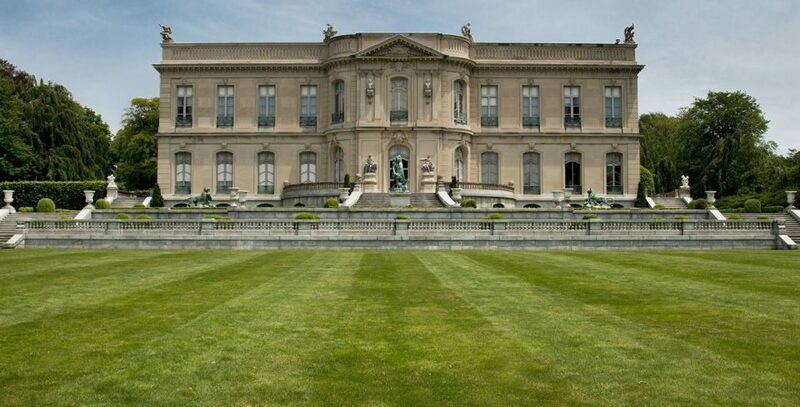 The summer retreat of coal magnate Edward Berwind and his wife, The Elms was a thoroughly “modern” house in 1901. So technologically advanced for its time it appeared to work “as if by magic,” it also houses monumental art works, including wall-sized Venetian paintings, Chinese lacquer panels and tapestries. 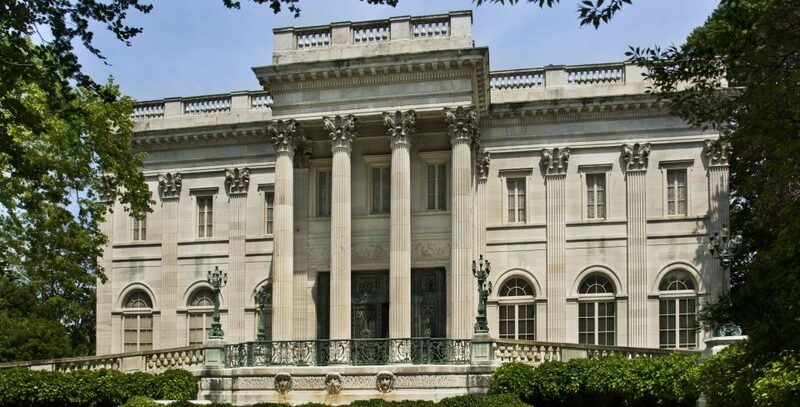 A National Historic Landmark, Marble House was built for Mr. and Mrs. William K. Vanderbilt. The view from the canopied terrace overlooks the colorful Chinese Tea House and the Atlantic Ocean beyond. 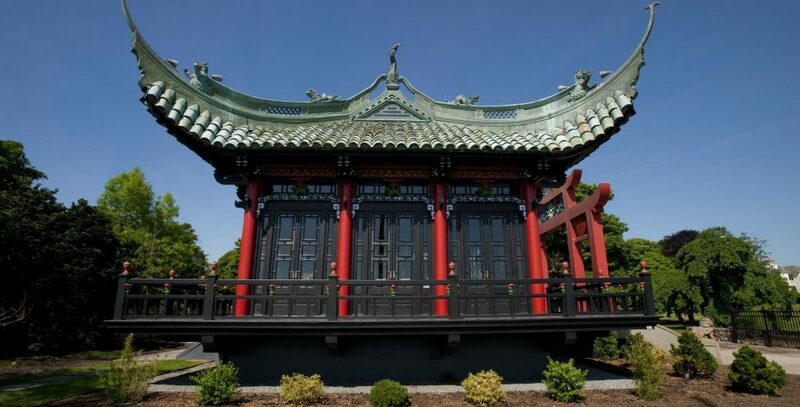 For a more intimate affair, the Chinese Tea House at Marble House offers a picturesque and unique setting, situated atop the Cliff Walk overlooking the Atlantic Ocean.